Christopher Beaulieu M.D., Ph.D. graduated from the University of Washington School of Medicine. 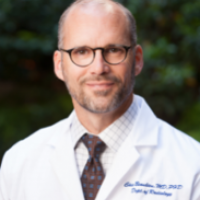 Since 2001 he has worked as the Chief of Musculoskeletal Imaging at the Stanford University Medical Center. He is also a Professor of Radiology (General Radiology) and, by courtesy, of Orthopaedic Surgery at the Stanford University Medical Center. Author and co-author of over 100 publications in the field of radiology.